It’s 2018, and everyone knows that social media has become an absolutely integral part of our everyday lives. In fact, 77% of the U.S. population currently has a social networking profile -- up 20 percentage points from 2012. As social media has continued to grow in popularity, brands have capitalized on its success, utilizing the mass audiences present on social platforms to market their products and services. With perhaps no greater host of a mass social audience, Facebook has more than 2 billion active users. Facebook’s ad targeting opportunities have made reaching this ever-widening pool of people easier than ever, as its capabilities cater to a variety of demographics and psychographics -- making it a breeze for companies to reach a shopper when they are most likely to buy products or services. As such, Facebook is highly valued for its ability to deliver hyper-targeted campaigns with the push of a button, making it tempting to singularly focus on social media when reaching a very specific audience is imperative. What some marketers may not realize, however, is that the targeted information gathered from social media campaigns can be utilized for direct mail, too, ensuring your brand is in front of your ideal audience no matter the channel. 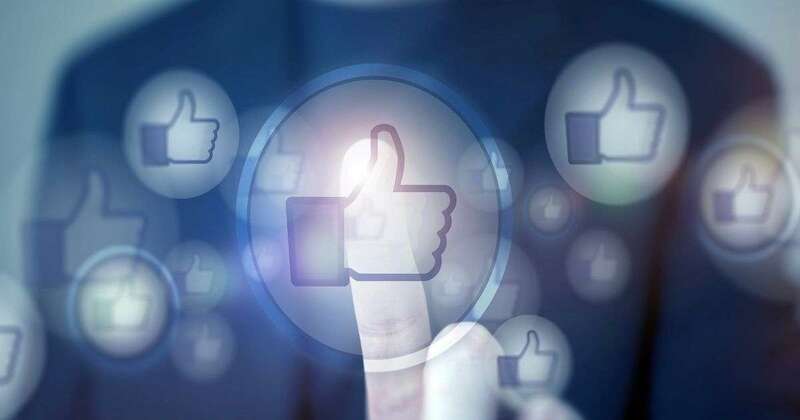 By using Facebook’s audience data and targeting capabilities, you can create direct mail campaigns that are as targeted as social media while simultaneously taking advantage of the tangibility and emotional appeal that direct mail has to offer. Utilize Facebook to create engaged direct mail lists. Whether you’re promoting a discount or simply showing off your product, when a user engages with your Facebook ad, you can be sure that they are at least somewhat interested in your brand. Use this interest to your advantage by securing a physical mailing address to which you can send the user follow-up marketing postcards. You can create your social advertisement with lead generation in mind by using one of Facebook’s built-in lead ads. These ads use forms that are pre-populated with users’ contact information, so all they have to do is tap on the ad to get the information they desire while generating a qualified lead for your business or organization. Once you have the address information, you can mail marketing postcards to those that you know are interested in your business and are more likely to convert. Test on social to inform direct mail campaigns. By taking advantage of the ease and relatively low cost of Facebook split testing, you can test a number of variables to discover how to optimize both your social and direct mail campaigns. Test different versions of ad copy, different images, and different audience segments on Facebook to determine who responds best to your advertisement and to help refine your direct mail strategy. With a more comprehensive audience segment and a better idea of the kind of content and imagery that audience resonates with most, your direct mail campaigns will be more effective with a higher chance for good return on investment. Merge existing direct mail lists with Facebook analytics. Facebook encourages businesses and organizations to merge existing direct mail lists with the social platform, making your mailing list more valuable across channels. When you input your mailing list into Facebook, the social platform then matches that list with existing users. Once matched, you can create ads to reach those people with a custom audience segment, even splitting up your list between current and potential customers for a highly tailored message. This feature is gold for marketers that want to engage their audience through multiple channels -- as all marketers should, as an omnichannel customer experience is always more effective than a single-channel strategy. When used in conjunction with a direct mail strategy, Facebook’s data and audience information becomes even more valuable to marketers. By integrating the two channels, your customers will receive both highly relevant messages and the personalized touch that direct mail provides. For top-quality direct mail pieces, QuantumDigital offers postcards that can be created with your branding to match the look and feel or your Facebook page, website and more, creating an engaging customer experience that is consistent across platforms.